This Shoreline insulated bowl is part of the meal delivery system from Cambro. 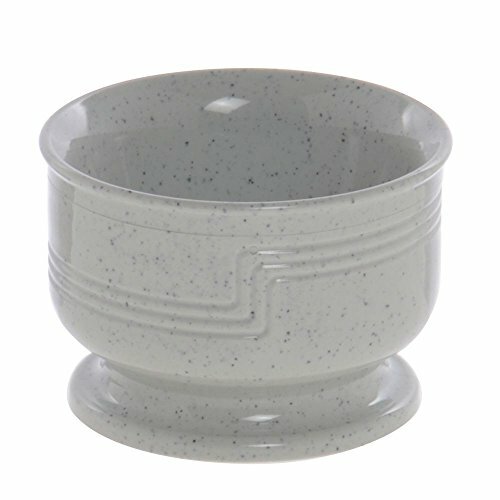 Other pieces can be purchased to coordinate with speckled grey color for a complete contemporary look to your serving tray. The Shoreline insulated bowl can be covered with disposable or reusable lid, sold separately.